Dried Humulus lupulus has been used medicinally as a bitter tonic, sedative, hypnotic. The decoction from the flower is said to remedy swellings and hardness of the uterus. A cataplasm of the leaf is said to remedy cold tumors. The dried fruit, used for poultices and formentations, is said to remedy painful tumors. The pomade, made from the lupulin, is said to remedy cancerous ulcerations. Hop flowers were most often used as an infusion, but the flowers were also smoked. The fruit was applied externally as a poultice to ulcers, boils, swellings, etc. The female flowering heads were harvested in the autumn and used fresh or dried. The flowering heads are sprinkled with yellow translucent glands, which appear as a granular substance. 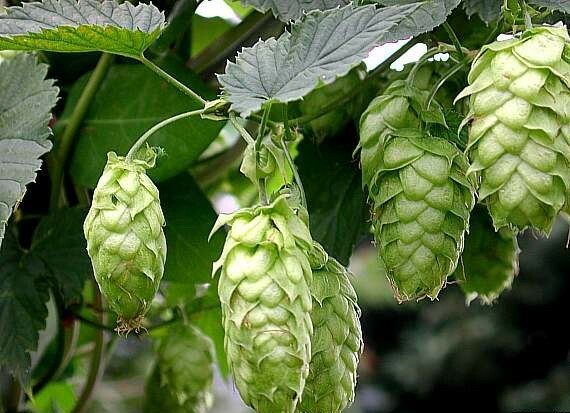 Much of the hop's use as a flavoring and medicinal plant depends on the abundance of this powdery substance.